Genesis framework themes are most popular in the blogosphere, because of its interface, user-friendly and SEO friendly. Studio Press company is the leading developers in Genesis framework theme developers. Here the Child themes are very good to improve online business. Some of the Genesis child themes are free to use and few are premium child themes (you must pay some dollars to use this). What is Genesis Framework? Studio Press releases mobile responsive and coded with latest HTML5 (The next generation of web markup), it makes your site compatible with all devices like Smartphone, Cross browser compatible and makes your site SEO friendly. Genesis framework is the product of Copyblogger Media. Copyblogger Media. Genesis is SEO optimized WordPress theme framework and most secured. These are best and elegant responsive themes. Studiopress developers are providing lifetime support (Free update to every new change) for every theme. About Genesis, I wrote one Special review on Genesis Framework themes as Why Genesis is the first choice. 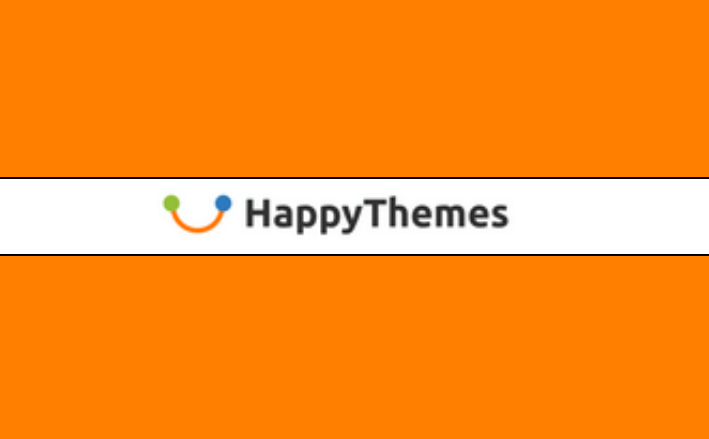 Here you will learn why you should use this framework theme for your blog. Before going to choose best theme fit for your blog, read my article on Best WordPress Theme Selection. Every month Studiopress shares their top premium Genesis child themes via their newsletters to their customers. Check the below list and choose one, download the theme as your choice, upload and install the theme into your blog. Cook’d Pro theme is the food-focused theme. This is the minimalistic and responsive theme. This is a third party theme, which means it is has been developed by and is supported by Feast Design Co. the theme makes fast-loading, bold and with a super clean design. In the theme, the team developed few simple tools for featuring images and recipes. Smart passive income pro theme is one of the popular WordPress framework themes. It was released from a studiopress online media platform. The studiopress developers inspired SPI theme (This is one Pat Flynn’s Blog). Pat Flynn is one of the most popular digital marketers in the online world. This Genesis child theme developed by the support of Flynn. He has given major importance on design, content, and strategy in the theme development. Smart Passive Income Pro is accessibility-ready, translation ready, HTML5 Markup, custom header, theme customizer, layout options, theme options, landing page, and of course it’s mobile responsive. 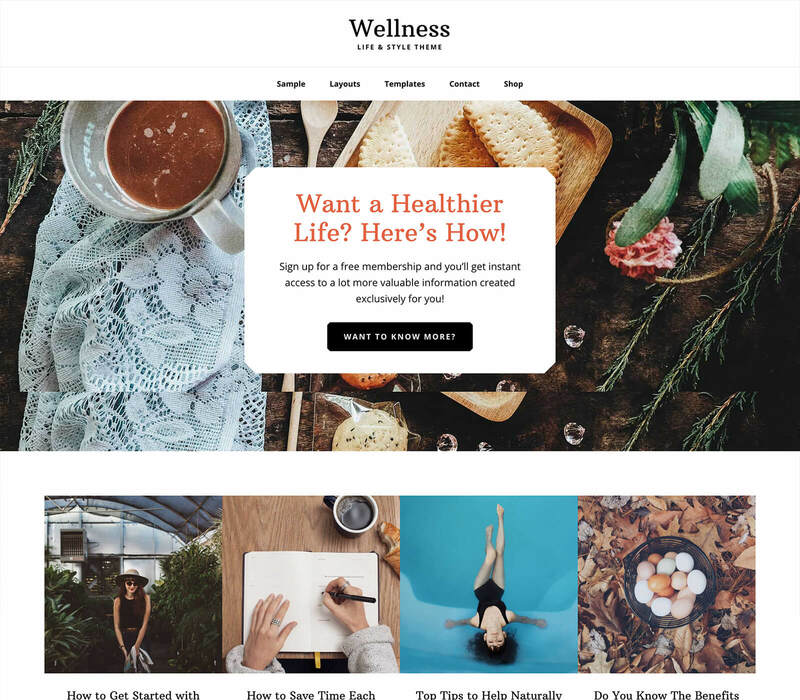 Wellness Pro theme is one of the latest child themes from StudioPress developers. The theme offers a holistic theme solution for Genesis-enabled blogs. Foodie Pro is one of the fastest loading themes with the security of Genesis framework. The theme comes with three color options to choose from. This is Ads ready theme; it means you can place the Affiliate ads and Adsense ads here. Responsive design: The theme is auto adjustable according to all device screens like Smartphone, Tablet PCs, Desktop, and Laptops. Widgetized Homepage: It helps to design your blog layout of your choice. 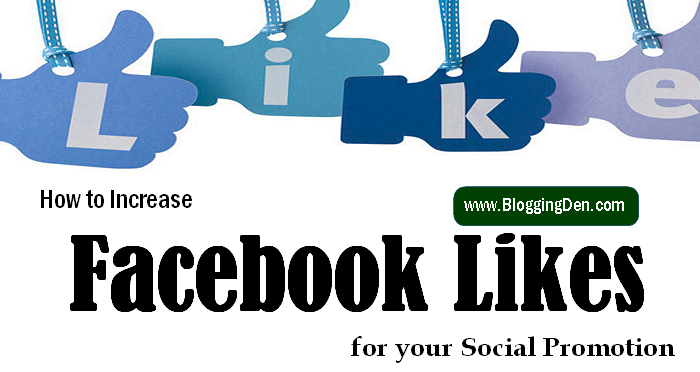 Recommended theme for Food Blogs, Magazine style blogs, News blogs and Entertainment blogs. Altitude Pro theme is a modern and professional Genesis child theme from Studiopress developers. The special feature is Stunning parallax effects, it helps to grab the people attending to tell the story or sell or product with clarity and conviction. This is perfect for a business or agency websites or app website or membership or service websites. Color styles, landing pages and much more added features. Digital Pro is an attractive and simplistic premium WordPress Genesis child theme. If you are building a business around digital goods, you need a theme that will support your efforts and won’t get in the way when you are marketing your digital products. Digital Pro builds trust with a friendly, open feel and clean, easy to read typography. The front page offers a beautiful layout, which aims to capture your audience. It comes with unlimited color choices within the customizer. Executive Pro Theme is a minimalistic Genesis child theme, which is recommended a theme for engineers and businessmen. You can display your projects and portfolio to your audience at header place. You have a custom header and custom background setting, which is not available in most of the premium Genesis themes. You can place your company or office view in the background. It creates a real office like the environment and your authority to your clients or visitors. Parallax Pro themes are a suitable theme for any enterprise business or portfolio website. The new rule of website design is to tell a story. It has a powerful Call-to-action button. It helps you to convert your reader into a customer. It is 100% responsive design. The developers have coded this theme as the best vertical design of content that is related to each other. It divides your content into parts, with a clear connection between them. This allows your visitors to read it like a real story, with no pause of break and leads them right to your call to action. Magazine Pro theme is the Flexible and most popular theme in Premium Genesis child theme category. It has magazine layout and ads ready features. It gives Gloss and shine for your content and will emit on the theme will be easy to read. This is the most Adsense optimized WordPress theme with an elegant feature. Responsive design: It fits into the all high-end devices of your readers like iPad and iPhones. This is one of the Responsive WordPress Themes. The theme comes with customized three column feature and simple blog layout Genesis child theme. Showcase Pro is multipurpose Premium Genesis child theme. It comes with a bright and clean design with showcasing feature. This feature is your business, products, and services. It comes with contemporary typography and full-width images. It helps you to highlight your best images and content in style. Enterprise Pro theme is an exclusive and classy theme for business people. Freelancers and Web designers are using this theme to give a new approach to their online business. 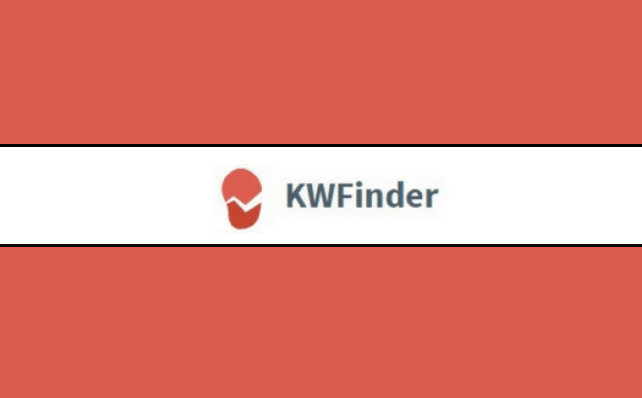 Header feature gives a completely new look for your clients. You can place about your services and additional attractive features. This is a perfect theme for busy business people; it gives rock solid framework and security. Atmosphere Pro theme is a professional and minimalist Premium genesis child theme. It comes with spacious and uncluttered design home page. 100% mobile friendly Responsive design It comes with single column content-focused layout. Aspire Pro is a modern business WordPress theme framework. It comes with a bold, attention-grabbing, high impact design. It is a versatile and multipurpose child theme. It has 15 custom widget locations. Mobile Friendly and Responsive design with Unlimited color change options. Interior Pro is a multipurpose business and portfolio WordPress child theme for the Genesis framework. It has a stylish and professional design for showcasing your projects and skills. This theme is suitable for business, designers, architects and other small businesses. With interior Pro, we have taken care of the online staging for you so that you can effortlessly share your creative approach with the world. Interior Pro is exactly the theme you’ve been waiting for to share the gifts and talents of the world. That’s because your creativity deserves to shine online. It’s time to show off the finest parts of you to your audience, the world is ready and waiting. With Interior Pro as your design tool, you’ll be sure your abilities get the spotlight they deserve. Monochrome Pro is one of the good Genesis child themes from Studiopress. If having a visually strong digital presence and an easy-to-use site are equally important to you, then Monochrome Pro is the Genesis-powered theme you’ve been waiting for. This is a flexible eCommerce theme that is pre-styled for WooCommerce so you can easily set up your online store. This theme is mobile responsive, meaning your website will be perfectly optimized for every browser, device, and screen size. Are you ready to build a classic brand? Refined Pro is one of the perfect genesis child themes to showcase your photography, content, and products. Online businesses can be beautiful and effective, so you’ll love that Refined Pro is WooCommerce-ready and has been designed to seamlessly match the rest of your website. The developers mentioned the custom Pinterest graphics, strategically placed newsletter sign-ups to help build your email list and mobile-responsive design that looks amazing wherever it’s viewed? Restored 316 created this third-party theme, and we’re incredibly proud to offer you. Refined Pro provides users with the same excellent features every StudioPress theme offers. Studio pro child theme is one of the third party themes. If you are searching for a creative theme to showcase your portfolio to your potential clients, Studio Pro theme is very good option for your business blog. The theme is a WooCommerce ready theme for your creative business. Genesis framework and its child themes are more popular. It has no competition when it comes to business. The support from Studiopress developer team helps you very well. No need to learn to code for this usage, it’s just having drag and drop feature in their usages. Here I listed the Best Child Themes list from the StudioPress Developers. You can check more Genesis WordPress Theme list (Genesis Premium Package) from the StudioPress homepage. For non-coders, the developers providing Genesis design Palette Pro plugin to design unique and branded theme yourself. This is pro feature for Studiopress members only. So start using the above any one of the best Genesis Child Themes and get support from the developers, get unique and branded theme design for your blog. Disclosure: This post contains affiliate links, which means I get a small commission if you decide to buy a theme via one of those links. This is at no extra cost to you, but I do appreciate the support! Regardless, I only recommend products and services I personally use and believe will add value to my readers. Thank you in advance! i want a faster loading theme for my news blog. please suggest me. Magazine child theme is good in loading at the user end. The wellness pro theme looks great! Really suitable for bloggers with their subjects and themes featured around lifestyle.